The Wendell Appearance Commission will host the 1st annual Art Walk with an open-air art competition on May 14, 2016 as part of the Town's Spring Fling. 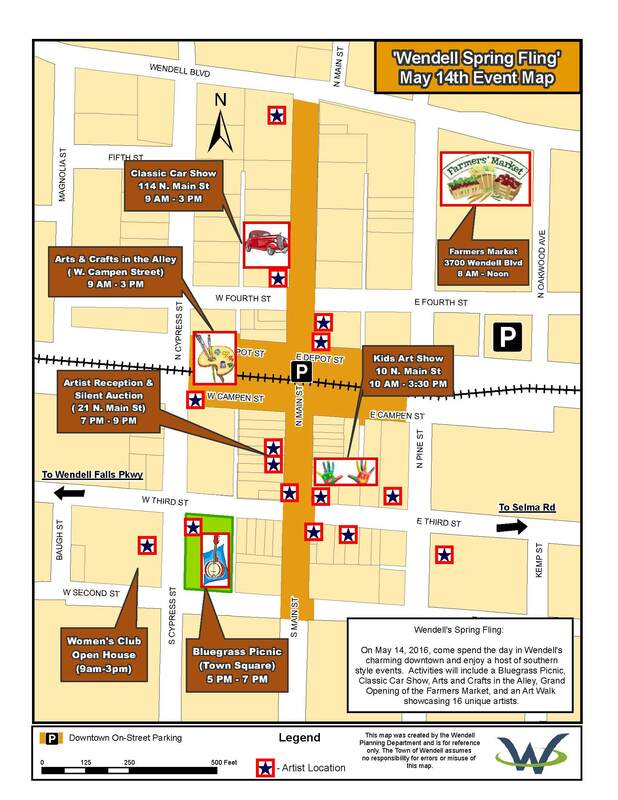 Artists will set up in Wendell’s historic downtown district, located between Cypress Street and Pine Street Wendell Boulevard and Second Street. Walkers are invited to watch the artists in action beginning at 10 a.m and ending at 5 p.m. 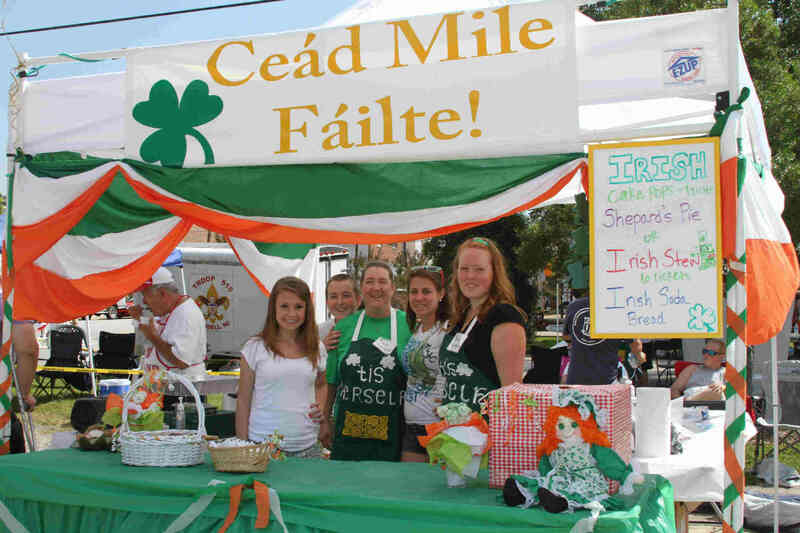 There will also be a sidewalk chalk artist working from 12 p.m. until 3 p.m. on N. Main Street. Everyone is encouraged to check out all of the artists as they bring their creations to life. A map showing the artist's locations is available for download here. All paintings will be collected after the auction and displayed at Town Hall for one month before being returned to the winning bidders, The paintings will be scanned for possible reproduction by the Town of Wendell and will be added to the current collection of public art. 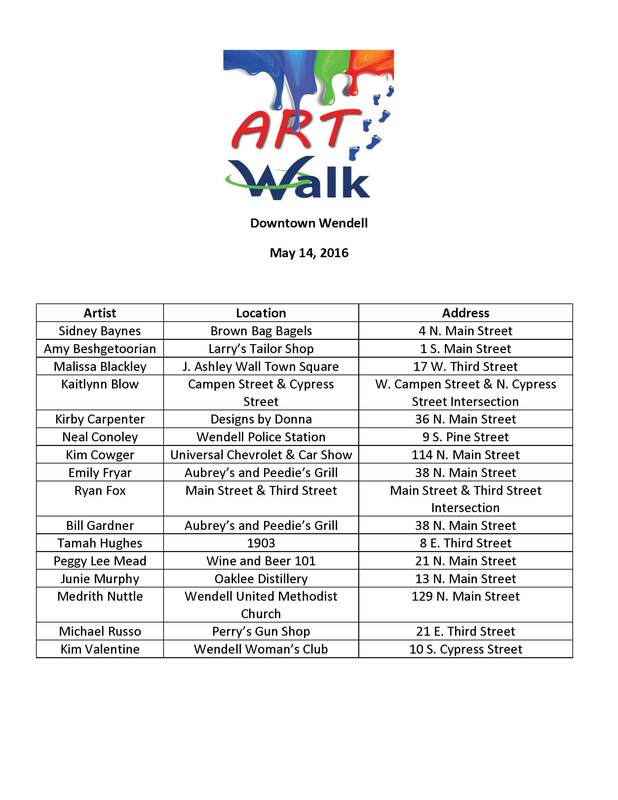 For more information about the Art Walk, contact Patrick Reidy with the Town of Wendell’s Planning Department at 919-365-448 or preidy@townofwendell.com, or visit our Link to the Facebook event page.